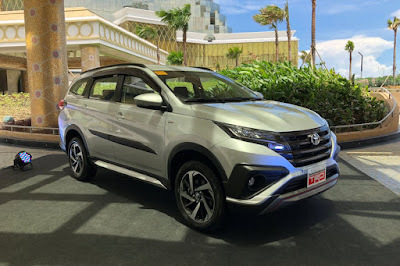 Toyota Motor Philippines is officially throwing its hat into the small SUV ring with the market introduction of the 2018 Rush. Aiming to capture first-time SUV buyers, the Rush comes packed with the carmaker’s QDR (Quality, Durability, Reliability) characteristics wrapped around a pleasantly modern, well-equipped vehicle. The all-new Rush is designed with the sophisticated city dweller in mind and comes with features such as LED headlights and 16 or 17-inch alloy wheels as standard equipment. However, as the roads turn to trails, it comes with a generous best-in-class 220-millimeter ground clearance as well as a 31-degree approach and 26-degree departure angle. Its highly-rigid frame and rear-wheel drive afford it all-terrain confidence. Mechanically, it’s powered by a longitudinally-mounted 1.5-liter Dual VVT-i 4-cylinder engine making 104 horsepower and 136 Nm of torque. Mated to either a 5-speed manual or 4-speed automatic, it balances power and fuel efficiency, making it a practical choice. More than just taking people to places, the Rush intends to reduce everyday stress with its long list of standard features. It comes with a push start system, LED backlit gauges (Optitron) with a multi-information display, dual air conditioning, and a 7-inch Apple-certified capacitive touchscreen infotainment system with up to 8 speakers. With a product strategy that skews somewhat towards married (61 percent) female (52 percent), the Rush is designed as a safe family-friendly vehicle from the get-go. 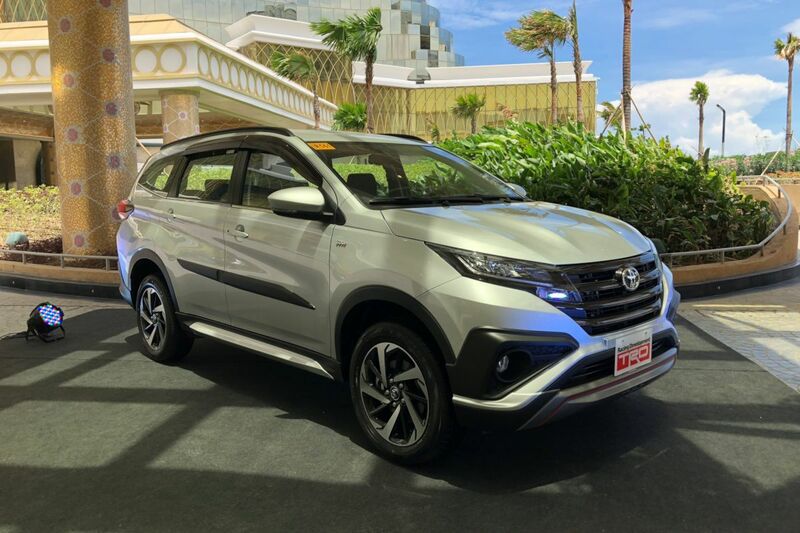 Aside from its generous luggage capacity (up to 514 liters), it also comes with 6 airbags, ABS, EBD with brake assist, vehicle stability control, and rear back-up sensors as standard. Yes tinalo pa ang Fortuner sa feautures..lol. Vios engine in a larger body should make this sluggish and inefficient. While high ground clearance on body on frame suspension will make body roll pronounced. How about for that TRD variant sir what's the price? Seems that the rear of that TRD will look better without the chrome garnish, what do you think? So that the hatch opening and rear mirror will look more flushed as one. This is a proper 5 seater small SUV, Toyota is right to offer a variant for that. I don't get it, as to how a small car such as this could fit 7 passengers comfortably. It's pure nonsense. It would have been nice to look except for that thick black frame of the foglight. it became ugly. If you're only interested with the 1.5E 5 seater, better cross shop this with the Suzuki Vitara. The Vitara has a 1.6L engine, 6spd A/T and rear disc brakes. It's not a proper 5 seater, the width is too narrow to fit 3 med size adults together at the back side by side comfortably. They could fit but it would be a squeeze. I agree if it's a 5 seater then go for the Vitara instead, though the caveat with Suzuki is the much more expensive parts and maintenance. I like the kit it comes with and the price is ok, but that drivetrain is really dated already. I also hoped it came with flat folding seats. Kudos Honda for making a beautiful car! Kung sa 5 seater platform, I would go for the new Suzuki Vitara.